Wendy’s issues statement on boycott after months of silence. Silence was better. As we write this on Wednesday evening, the nation prepares (and by “prepares” we mean curls into the fetal position on the couch in front of the TV…) for the third and final presidential debate. But if you are like us and happened to catch Wendy’s new statement on the Fair Food movement’s national boycott, published yesterday on an obscure public relations blog dedicated to the discussion of Corporate Social Responsibility, then you were treated to a sort of pre-debate hors d’oeuvres plate, a similar mix of cheap innuendo, half-truths, and outright fabrications, just in smaller bites. In any event, now that the Wendy’s statement is out there, we face the thankless task of responding to mountains of misinformation without just throwing up our hands and walking off stage. We’ll do our level best. 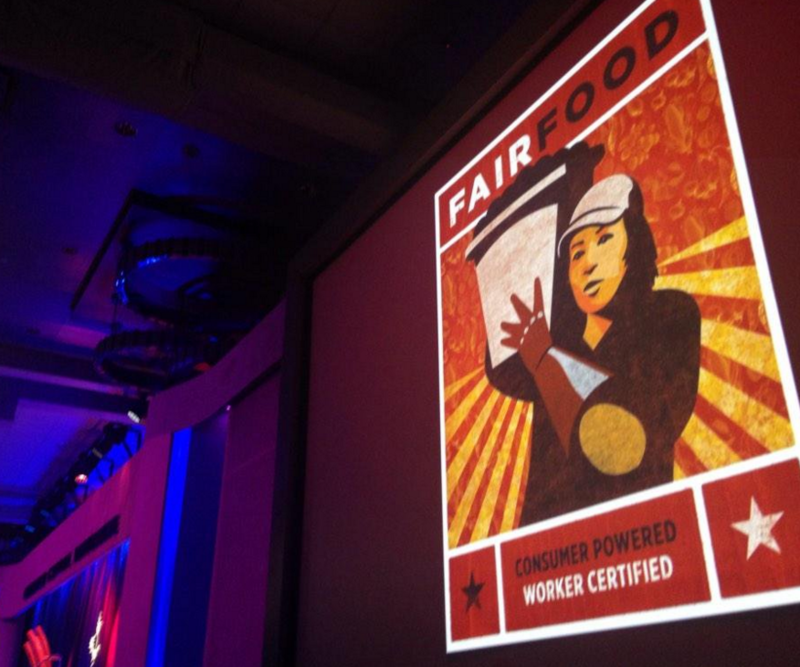 So why does CIW have a problem with Wendy’s? Because we buy a lot of tomatoes for which they don’t receive any money. 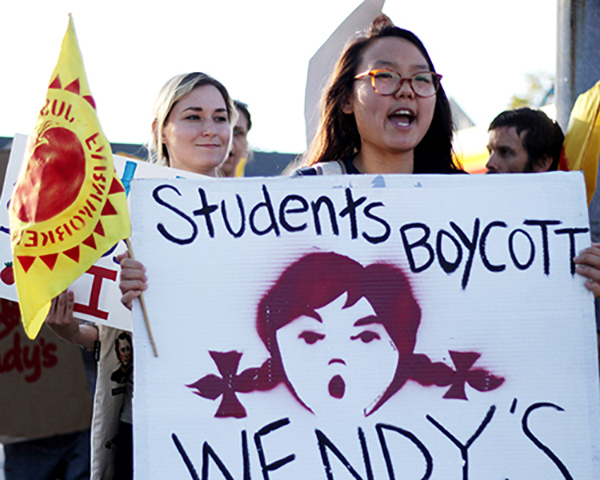 The Fair Food program primarily operates in Florida and Wendy’s does not currently purchase tomatoes in Florida… and that’s at the heart of these protests. Anyone without knowledge of how the Fair Food Program actually works reading this bolded passage would reasonably conclude that, a) when participating buyers pay the Penny-per-Pound premium on purchases of Florida tomatoes, that money goes to the CIW, and, b) Fair Food protests were designed solely to force companies to pay money to the CIW. Wendy’s strongly implies that the protests are not motivated by the imperative of social and economic justice for the workers who pick Wendy’s tomatoes, but are rather some sort of elaborate corporate shakedown. 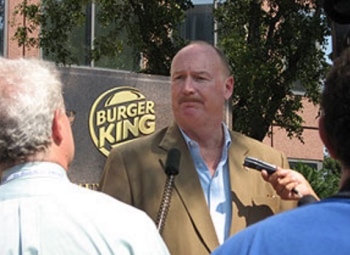 That history might profitably serve as a cautionary tale for any Wendy’s communications executives who might be contemplating further exercises like the cheap innuendo bolded in today’s statement. The CIW’s Fair Food Agreements cover nearly 35,000 workers in seven states, not “one region of Florida” and one crop as Wendy’s statement would have it. 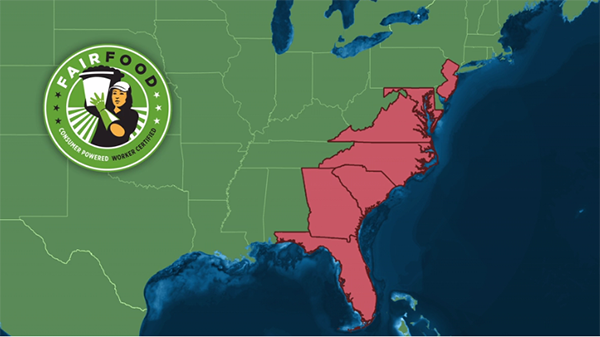 Today the Fair Food Program operates along most of the East Coast (in Florida, Georgia, South Carolina, North Carolina, Maryland, Virginia and New Jersey) and in three crops (tomatoes, peppers, and strawberries). Of course, all of Wendy’s key competitors — McDonald’s, Burger King, Subway, Taco Bell, and Chipotle — have joined the Fair Food Program, not “some.” At this point, Wendy’s is deriving a real competitive cost advantage from fostering farmworker poverty in its supply chain by refusing to join the FFP. All of our suppliers, including those in Mexico, are subject to the same quality and food safety standards, and we actively perform over 1,000 audits annually against those standards. We spend a LOT of time with our suppliers and their teams – on farms, in fields, in processing houses, and with distributors – it’s truly a farm to fork commitment for us. Our professionals are constantly on the road visiting or auditing suppliers because we believe that’s the best way to ensure that our standards are being upheld. 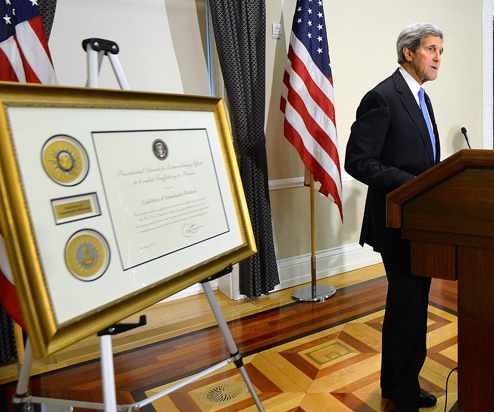 I believe that our team of road warriors is the absolute best in the business. But, it doesn’t stop there. Every Wendy’s supplier must go through a rigorous certification process, voluntarily participating in a whole host of auditing processes. We visit the farms and ranches where our fresh produce grows (iceberg, romaine, spring mix, tomatoes, strawberries, blackberries, etc.) in order to assess quality and food safety, and to ensure everyone in that operation – from business leaders to farm workers – understands and follows good and safe agricultural practices. We have a comprehensive Supplier Code of Conduct which requires our suppliers – for tomatoes and everything else we buy – to adhere to high standards for integrity and business practices. 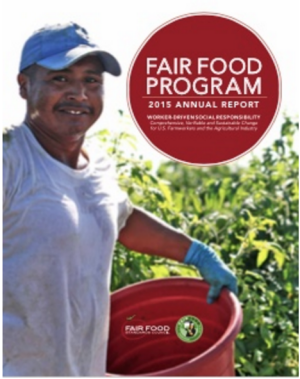 In context, Wendy’s statement strongly suggests that its auditing processes in Mexico and its freshly minted code of conduct are the equivalent of the Fair Food Program’s monitoring and enforcement of human rights and the Fair Food Code of Conduct. The statement doesn’t come right out and say that, of course, because to make that patently false claim would be laughable on its face and far too easy to debunk. But by repeating, and repeating, and repeating… how much time their “team of road warriors” spends visiting their suppliers, one is left with the impression that any violations of human rights would naturally come to light during their “quality and food safety” dragnet. But that’s not how human rights monitoring and enforcement works. In fact, when read carefully, the statement does not even pretend that Wendy’s audits for workers’ human rights. Despite significant emphasis on their auditing efforts in Mexico, even Wendy’s can’t bring itself to claim that fundamental labor and civil rights — which are the central focus of the Fair Food program — play any meaningful role in the company’s auditing process. And that’s why this half-truth ultimately falls short, because the effort to equate “quality and food safety” audits with the kind of in-depth, worker-driven, market-enforced human rights audits at the heart of the Fair Food Program just won’t hold water, and even Wendy’s knows it. In short, whatever it is the company audits in Mexico, Wendy’s monitoring program doesn’t hold a candle to the Fair Food Program. Wendy’s statement places the timing of its move to Mexico as “a few years ago.” That would mean they moved there before the LA Times’ devastating series on widespread human rights violations in the Mexican produce industry mentioned above, which was published in December of 2014. A child picking tomatoes in Mexico, from the LA Times report “Product of Mexico”. Kind of casts a whole new light on the line, “We are quite happy with the quality and taste of the tomatoes we are sourcing from Mexico,” doesn’t it? 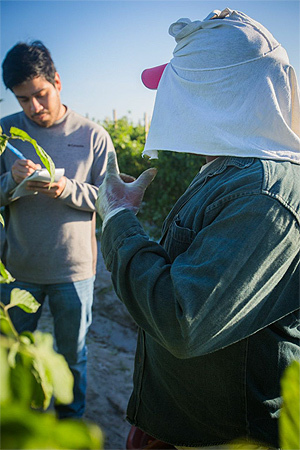 Where we differ with the CIW is in their belief that we should focus on a single group of people – in this case, tomato harvesters in one region in Florida – and assign them additional pay without having an employment relationship with them. Make no mistake: we believe that promoting human rights and safe working conditions in agriculture is vital. All of us in the food supply chain have an obligation to ensure that the products we sell have been raised and harvested in a responsible way. We’re always open to having constructive conversations and we’ll continue to strive for progress. We require responsible business practices in our supply chain and will continue to work to bring greater transparency to these practices so that our customers can continue to feel confident in the brand we love and the values upon which it was built. It may not be the easiest path to travel, but we believe it’s the right one. In our own summary, we want to focus on that last line: It may not be the easiest path to travel, but we believe it’s the right one. We know a little bit about choosing the harder path. 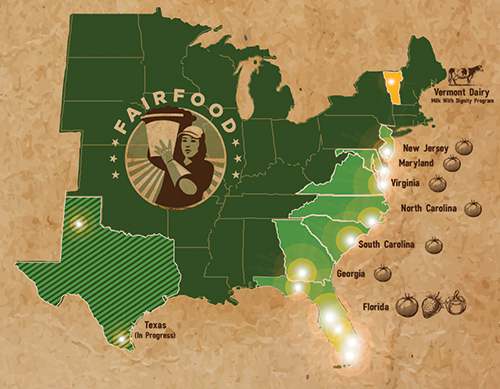 The Fair Food Program, of all the human rights programs in the field today, is a living and breathing example of the harder path, the painstaking work of uprooting generations of human rights abuse and poverty. 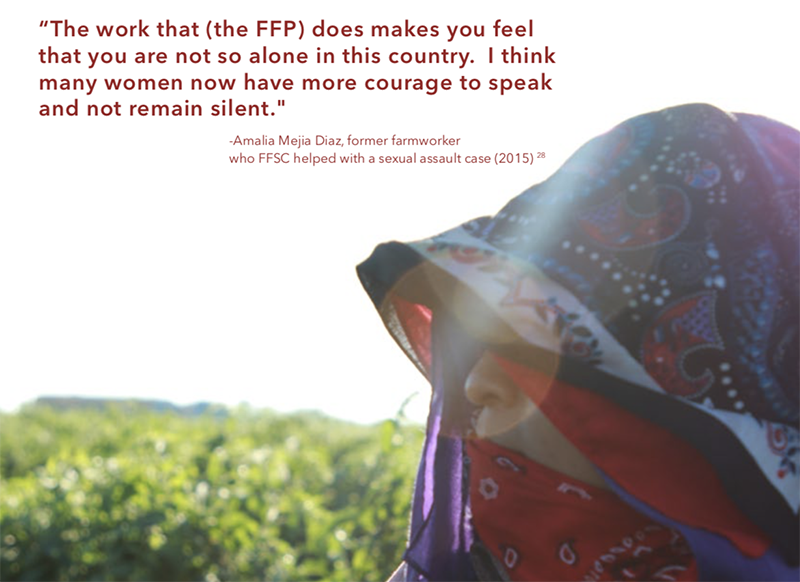 For every partner in the Program, the FFP is hard work. 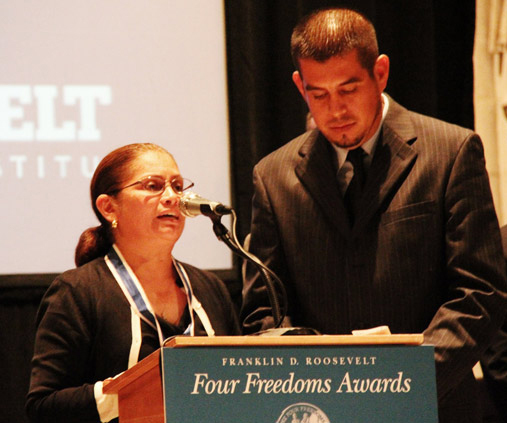 Workers have spent the past fifteen years tirelessly campaigning with consumers, not to mention designing, building, and enforcing the Program itself, and serve as the frontline monitors to their own rights, day in and day out. Florida growers — the same ones Wendy’s so cavalierly abandoned — have made the necessary investments in everything from time clocks and shade structures to human relations staff and new labor practices in order to become better employers. In doing so, they have fundamentally altered the culture of the Florida tomato industry and have helped forge “the best working environment in American agriculture.” The Fair Food Standards Council interviews a minimum of 50% of workers as part of each and every exhaustive field audit, has investigated and resolved nearly 1,500 complaints through its 24/7 live complaint line over five seasons, and produces detailed, rigorous Corrective Action Plans based on its audit and complaint findings that then serve as the basis for further audits. All of these actors play their parts each and every day. And finally, the Fair Food Program’s Participating Buyers — buyers like McDonald’s, Burger King, and the retail Goliath, Walmart — pay the Fair Food Premium on every pound of Florida tomatoes to address farmworkers’ grinding poverty and honor their legally-binding commitments to cut purchases from suppliers that fail to uphold the standards in the Program, no ifs, ands, or buts. 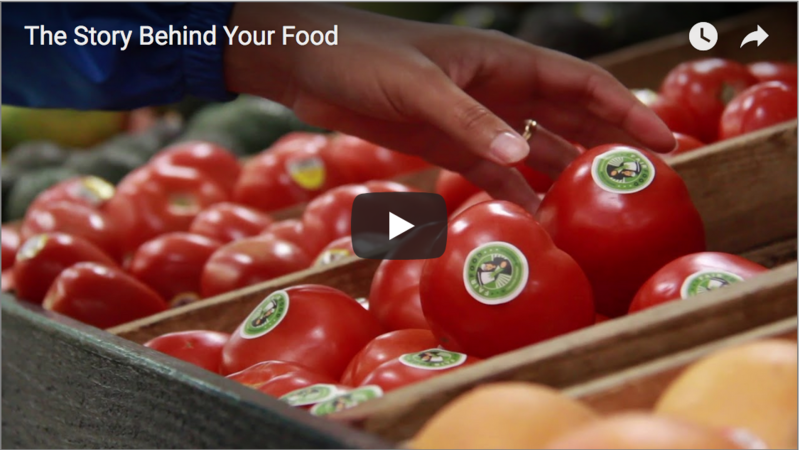 Those market consequences are at the heart of the Fair Food Program. 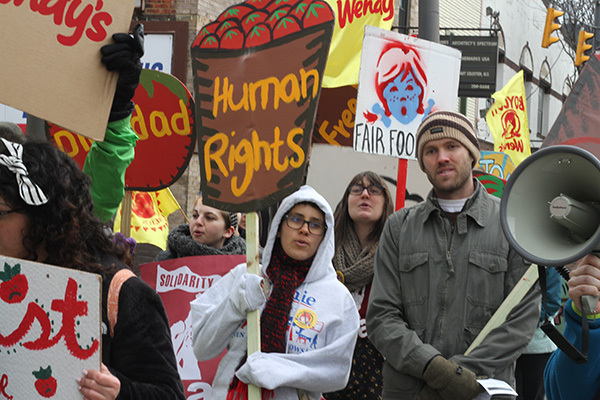 That driving commitment to ending generations of farm labor poverty and human rights abuses, Wendy’s, is where we truly “differ in our beliefs”, and we will continue to differ until you realize that slickly written public relations blogs won’t cut it with 21st century consumers who demand not just quality and food safety in their burgers, but real human rights protections, too. The path you have chosen is, in fact, the easy path, and it is, in fact, the wrong path. But it is not too late, even now, for you to follow the lead of the 14 retail food companies just like you and shift to the right path, the one that leads to becoming a partner in the Fair Food Program. And we’ll be right here, ready to work together, when you do.